JITA creates employment opportunities for women at the BoP through a network of enterprises which are connected to last mile distribution systems. JITA’s platform explores innovative and sustainable business models resulting in visible empowerment of women, development of enterprises and accessibility of essential products and services to BoP consumers. Each and every employee represents the spirit of JITA. Their capability, hard work, and perseverance towards their responsibilities are holding JITA strong. Their diverse skills and talent helps to keep a balance between social impact and financial sustainability and supports Aparajita to develop and prosper. Mark Muckerheide is CEO, CARE Social Ventures, a for profit subsidiary of CARE USA. CARE Social Ventures helps CARE convert locally created, locally run philanthropic programs into financially sustainable social enterprises by helping them assess their viability, provide ongoing support to each enterprise, hire CEOs, build a board of directors and structure and raise donations, debt and equity. CARE has the world’s largest global pipeline of owned and operated social enterprises, with 20+ social enterprises providing jobs, income and services for more than a million persons. Previously, Mark spent 20 years as retail executive with Target Corporation. Mark’s first 15 years at Target were in brand management, with his last role as general manager of one of Target’s billion dollar grocery business units. During Mark’s last five years at Target, he served as Director, Sustainability and Corporate Social Responsibility. In this role he was responsible for a $100 million philanthropic portfolio, as well as responsible for co-leading Target’s corporate wide effort to create a more business aligned CSR and Sustainability strategy. During this same period, but outside of Target, Mark has created and run several profitable businesses in the industries of real estate, investment, construction and management consulting. This includes being the Founder and CEO of Global Poverty Advisors. Global Poverty Advisors is a consulting firm that works with social businesses, impact investors and international development non-profits to help them leverage business toward the goal of ending global poverty. With 20 years of multinational experience in the private sector, Riad Rouf brings a multidisciplinary entrepreneurial approach to leading the JITA team. 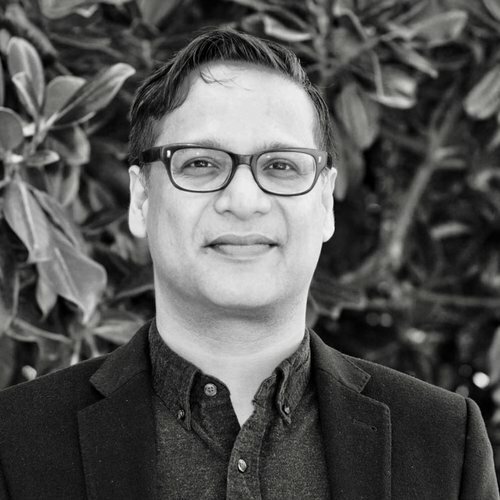 Riad started his career with American Express and have had subsequent leadership roles in Youngone, Nokia, Emory and has also served as the CEO of Purnava, a Renata company. As an experienced marketer and management professional, he likes to build cross-associations and believes in fostering and nurturing creativity and ideas amidst strict strategic frameworks. Riad has worked in Bangladesh and North America, takes a hands-on approach to every challenge and likes to lead by example. Riad has an MBA from Clark University, MA, USA. He is a strong believer and champion of human rights and social justice in every endeavor he undertakes. He is passionate about design, modern art, and architecture. He loves travelling and cooking, and Real Madrid. Zia Choudhury is the Country Director for CARE Bangladesh, one of CARE’s oldest and largest country offices. Zia spent most of the past two decades leading NGO operations across three continents. He has a particular interest in NGO standards, and helped establish the first widely utilised NGO quality assurance scheme. Zia established and ran his own social enterprise for 2 years, while being a Board Governor for agencies leading on medical relief and disability rights. Zia is a Humanitarian Coordinator Pool member, which pre-qualifies him to coordinate countrywide humanitarian responses on behalf of the UN system. From Scotland, with ancestral roots in Bangladesh, Zia co-designed the first Scottish-Bangladeshi tartan, known as “McDesh”. 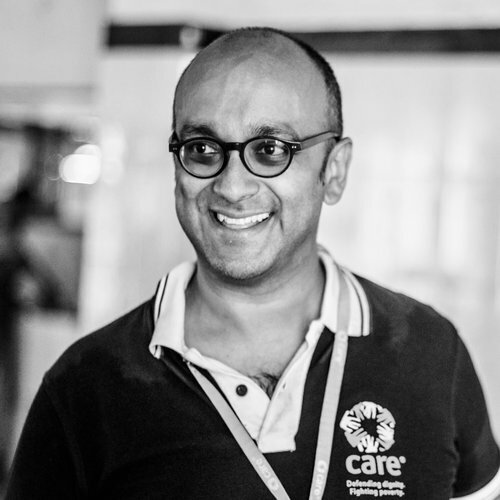 Berhanu has joined CARE Bangladesh (BD) in June 2014 as Assistant Country Director-Program Support (ACD-PS). He supervises diverse and innovative Program Support team in CARE BD and provides leadership and direction focusing on Country Office (CO) Administrative and Operational Support processes and functions embracing Administration, IT, Procurement, Transport Services, Grants and Contracts, and business security. Furthermore, he plays a substantive and essential hands-on role in the development, revision, and enhancement of CO systems, policy and processes across the spectrum of all CO departments (Finance, HR, IA, and Program). He is also the board member of the social enterprise JITA.Before joining CARE BD, he previously spent 7 ½ years at CARE Ethiopia as Manager of Audit and Risk Management and Administration Director/ACD-PS equivalent. In total, he has 28+ years’ experience working 18+ years with governmental and prominent private national and international for-Profit-organizations having complex businesses. While being in charge of leading all aspects of Finance, Accounting, Administrative functions, and systems, he has been regarded for innovation for effective policies, procedures, processes, change management and systems improvements. Simultaneously, he is also a committed advocate for women’s empowerment and gender equality, with a track record of promoting gender equity in the workplace and communities. Before joining CARE BD, he previously spent 7 ½ years at CARE Ethiopia as Manager of Audit and Risk Management and Administration Director/ACD-PS equivalent. In total, he has 28+ years’ experience working 18+ years with governmental and prominent private national and international for-Profit-organizations having complex businesses. While being in charge of leading all aspects of Finance, Accounting, Administrative functions, and systems, he has been regarded for innovation for effective policies, procedures, processes, change management and systems improvements. Simultaneously, he is also a committed advocate for women’s empowerment and gender equality, with a track record of promoting gender equity in the workplace and communities. Berhanu has a Bachelor degree in Accounting from Addis Ababa University and a Post Graduate Diploma (with Distinction) in Port, Shipping and Transport Management, Shipping and Transport College of International Maritime Transport Academy, Rotterdam, The Netherlands. He has pursued ACCA (Association of Chartered Certified Accountant) studies with ACCA UK, one of the largest renowned international Accountancy body in the globe.